The Commitment Theory of Emotions is issued from a careful scrutiny of emotional behavior in humans and animals, as reported in the literature on Evolutionary Biology, Neurosciences and the Psychology of emotions. Emotions are viewed as a special layer of processes, wired upon needs and instincts, and dealing mainly with nurturance, social bonding and cooperative behavior, especially between kin and relatives. As every other motivational system, they operate so as to manage resources critical for survival and reproduction. The peculiar resources emotions do manage are commitments, understood as the predispositions of a given individual to help others and collaborate with them in a reciprocal manner. This view clarifies considerably the interactions emotions entertain with a variety of modules involved in their operation, from the detection of antecedents in perceptual or memory systems, to the elicitation of the appropriate emotion, to the execution of the corresponding script, to the expression of emotions as the typical outcome of emotional episodes. The flow of processing is continuously modulated by affective states of the organisms and by other motivational systems. The chapter expounds the operation of each module as well as their interactions with each other. 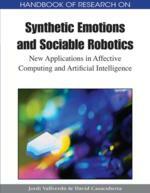 It concludes that successful implementation of emotions in artificial systems will have to rest upon the specifications of complex and realistic models of the kind presented. Why would one dream of designing animats endowed with the full capacity for emotions? What interest would there be, besides the mythological strive that motivated Victor Frankenstein in playing God? What gain would there be in having emotional machines? Would this make them more functional and more efficient, better tools for human use? And if so, how would it be possible to implement them into the fabric of physical systems? In a sense, evolution has already provided some lines of answer for the engineer raising these questions. Indeed, the more complex an animal’s life appears to be, the more likely is it to evidence emotional behavior. For one thing, the processes underlying these behaviors are associated with the functioning of the limbic system, which is thought to have emerged during the transitory period from Reptiles to Birds and Mammals (MacLean, 1993; Panksepp, 1998). Hence, it is believed that there is no emotion as such operating in organisms below this level. On the other hand, as is clear with Primates and especially Humans, the more rational a species gets to be, the more emotional it gets as well (Damasio, 1994; Hebb, 1949; Scherer, 1994). This suggests that emotions developed hand in hand with other superior capacities of the mind, and may be intricately related with the operation of these capacities. To make this statement quite concrete, try figure whether someone would take the risk of letting of an emotionless assistant handle one’s valuable business. It is actually estimated that over a third of paid work in the United States depends heavily upon using and managing one’s emotions in ways appropriate to the job requirements and the clients’ demands (Hochschild, 1979, 1983). To take one step further, think about putting the delicate and difficult task of raising one’s kids into the hands of an emotionless caretaker. Hence there would be much benefit in better understanding what emotions are for, and how they have been designed through natural selection to do their job. Since they have not been selected in all species, it may help to ask what particular class of problems those that have emotions are confronted with, and how these processes operate so as to help solve them. It is our contention that a satisfying implementation of synthetic emotions has to derive from a robust model of the functions of emotions, much inspired from what is revealed in Evolutionary Biology, Cognitive Psychology, Neurosciences, and Cultural Anthropology. The model should also expound as precisely as possible the dynamics of emotions, specifying the interactions with various other mental processes that modulate their operation. The aim of this chapter is to unfold the Commitment Theory of Emotions (Aubé, 1997a, 1997b, 1998, 2001, 2005; Aubé & Senteni, 1995, 1996a, 1996b) that has been developed precisely with these design preoccupations in mind. The typical way emotion episodes are resolved (the EXPRESSION module). Elicitation Structure: In nurturing species, commitments are vital resources whose shortening or replenishment should often be managed with emergency. As control systems designed to regulate commitments variations, emotions are indeed typically triggered very quickly, in matter of milliseconds. This requires that the proper operator be identified easily, depending upon the particulars of the commitment favored or threatened. The elicitation structure is a decision matrix that specifies the family of emotions best suited to handle the situation at hands by combining the values from three dimensions: valence (gain or loss in commitments), agency (responsibility attributed to self, others or no one) and certainty (variation certain or uncertain). Emotion Scripts: For emotions to do their job in managing commitments that bind several agents altogether, there has to be some regularities so that similar events are likely to evoke the same family of emotions in different individuals, trigger a comparable set of reactions and resort to a common emotional language so as to convey the adjustment that is mandatory. Emotion scripts thus register in memory the prototypical unfolding of emotional episodes across individuals. Many researchers in the field believe that they develop from an innate universal core that is shared across cultures and even related species. Commitments: Commitments are kind of contracts or conventions that bind two or more agents in a cooperative unit. For their being operative, they have to be clearly represented in each partner’s brain. They should be seen as dynamic entities capable of monitoring incoming events and of detecting those that bear impact upon their being threatened or strengthened. They are essentially created, modified or destroyed through the operation of various emotions. Since they reside in the minds of the partners involved in them, they can be transformed only through acts of communication, which explain why emotion unfolding relies so heavily upon their expression. Motivational Systems: Motivation is implemented in the brain through various systems dedicated to resource management and regulation. They are typically arranged in control loop circuitry, and protection from loss or progress towards replenishment are monitored in terms of pain and pleasure gradients. Needs (such as hunger, thirst or fatigue) and emotions (such as anger, joy or fear) are the ones that have been the most extensively studied so far, but it is believed that there are a few more. For instance, on the cognitive side, setting a goal typically raises a drive to organize one’s behavior so as to make progress towards it. On the social side, life in small groups is also much determined by the behaviors of others through such phenomena as imitation, fashion, influence or manipulation. Affective States: Emotional episodes are thought to be rather short in duration, in the order of seconds or minutes. Certain mental states, such as moods, temperaments or emotional disorders, can nevertheless augment the propensity that a given emotion be triggered and that it lasted longer. They could result from circumstancial causes, as in moods, when there has been recurrent activation of the same family of emotions in a brief period of time, but they could also be more idiosyncratic, as in temperaments or traits. Emotional disorders are more complex and could depend upon life events as well as upon personal factors. All affective states interact with emotions, bear an impact upon their being triggered or not, and generally modulate the unfolding of emotional episodes. Emotions: Emotions constitute an important subset of motivational systems. They are triggered by various antecedents that typically involve gain or loss, threat to one’s stock of resources or opportunity to get new ones. In the present model, these resources are viewed as second-order, in the sense that they refer to those that could be acquired through the action of other agents well disposed to provide them. While needs manage direct access to first-order resources such as food, water or shelter, emotions provide access through the intervention of other agents, such as parents nurturing their offspring. The critical point here is that the resources that emotions manage are not so much the agents themselves as their willingness to provide the desired access or protection. This predisposition is called commitment in the model. Emotions are thus viewed as commitment operators that play their role through communicative acts between committed partners. Ontology: Ontology refers to the set of characteristics that specifies a certain class of individuals. For emotions to play their part in regulating social bonding and cooperation, it is required that the individuals involved shared a common ontology, so they be affected similarly by the same events, they registered the commitment that binds them in similar form, they attributed a close enough meaning to a given expression and felt compelled to adjust the commitments in the way it was expected from the message conveyed. It is likely that the evolution of emotions and their expression from Mammals to Primates to Humans laid the basic foundations of that kind of shared ontology. Expression of Emotions: Expression seems tightly related to the operation of emotions and has always occupied a large part of the researches conducted about them. Control and suppression of expression is indeed related to the inhibition of the feeling itself, as if it were an integral part of the emotional process. In the theory, this phenomenon is explained by the fact that expression is the very mean by which emotions play their part in commitments management. This rests on the principle that commitments are located in the partners’ brains, and can only be modified through interactions and acts of communication between them. Motivation: Motivation is a theoretical construct that is used in Psychology as the analogue of the concept of force in Physics. It is evoked to explain any significant change of behavior or of persistence in spite of fatigue or obstacles. Motivation essentially has to do with resource management: when vital resources are at stake, an individual gets motivated to behave in ways that raise his chances to obtain the resources, or to prevent the loss of the ones that have already been acquired. Antecedents of Emotions: Antecedents are part of the particular script attached to a given family of emotion. They refer to the characteristics of events that are most likely to evoke the emotion, such as loss of close kin for sadness, anticipated threat for fear or transgression for anger. They are used in the form of social affordances by the input module to detect variations in commitments that are significant enough to require the operation of emotion handlers.